The company MuleMotion offers a very fun and original option to know and enjoy the most beautiful corners of the Sierra de Cádiz through hiking trails accompanied by Mulas. It is an activity adapted to all ages, and have a wide variety of routes with different levels of difficulty. During the activity you can walk freely without a backpack, since the mules are encumbered of transporting the luggage of the participants on the route, as well as the food and drink to regain strength during the duration of the route. In this way you only have to worry about enjoying the impressive landscapes and observe the varied fauna that inhabits the Sierra de Cádiz. All the routes are accompanied by a guide of professional nature who will make an interpretation of the environment, as well as the fauna and flora that they find in their path. 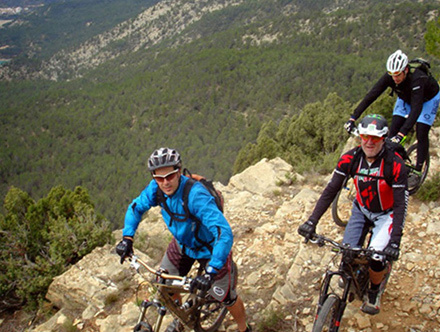 During the course of the route you can take cold drinks and a picnic made with natural and typical products of the area. In addition to the typical day routes, you can hire two and three day routes, which are accompanied by a night of camping under the moon of the Sierra de Cádiz. In both a delicious dinner is offered accompanied by stories and legends that hide between these mountains. Several routes can be made in the surroundings of Rural Houses Los Algarrobales. We work with specialized guides to adapt any hiking route to your needs, for families with children, adults, experienced walkers, etc. The most outstanding routes are the visit to the Tajo, the Tajillo, the Dolmen the Giant, the summit, the plateras or a guided tour through the picturesque village El Gastor (known as balcony of the white villages). In summer, nighttime outings are also organized for star sightings, some of which coincide with the well-known “Star Rains”. Las Rutas más destacadas son la visita al Tajo, el Tajillo, el Dolmen el Gigante, La cima, Las plateras o una visita guiada por pintoresco el pueblo El Gastor (conocido como balcón de los pueblos blancos). En verano también se organizan salidas nocturnas para avistamientos de estrellas, algunas de ellas coincidirán con la conocidas “Lluvias de estrellas”. To arrange a guided tour, you will have to call to make your reservation to our reservation number 653115052, or to contact José Antonio directly, the manager of the property at 653115051. Great megalithic tomb of corridor with widened chamber, existing in the cerro de Algarín, next to the town of El Gastor. It is the largest dolmen in the provincia de Cádiz, with large vertical orthostats and menolithic covers, in good condition, despite having been the subject of uncontrolled excavations. To access the Dolmen -from Ronda to Los Algarronales- we have to take the first detour that we find on the right. On this road we advance until we find a detour (not asphalted) that says: “Los Algarrobales”. We continue a few meters along this paved road until we find a blue sign that says: “Dolmen de El Charcón”. The route from this poster is very difficult to carry out by car, so it is recommended to go on foot. It is a steep road of one and a half kilometers. It is traveled in less than an hour. You have to pass a gate to get to the dolmen. Further ahead we find an abandoned farmhouse, this one is left to the right. A few meters further on, to the left of the road we can find the dolmen. It is located right next to a large oak and is not signposted. Cueva del Gato is located between the municipalities of Montejaque and Benaoján, in the province of Málaga (Spain), within the Parque Natural Sierra de Grazalema, some 15 km west of Ronda. The summit or Cueva del Hundidero is located about 3 km north of Montejaque next to the MA-505 road, with the upper mouth or entrance to the system at a height of 593 m. The system is developed in a total of 7,818 m and a difference in altitude of -219 m, with a main route of 4,500 m in a North-South direction to the south or lower mouth of LaCueva del Gato at a height of 423 m, right on the río Guadiaro and next to the MA-555 road from Ronda to Benaoján and the Ronda–Algeciras railway line. Like all the Sierra de Grazalema, it is a limestone karst area where the water has generated an impressive underground world. The departures can be free or accompanied by a specialized monitor who can advise and accompany them to advise them on the best routes. 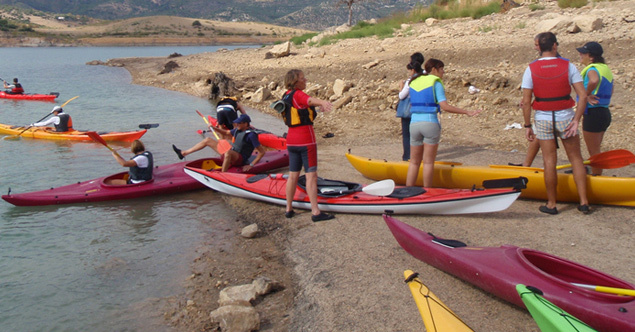 The Kayak is one of the most attractive activities and requested by visitors to the Sierra de Cádiz, as it is an activity adapted to all ages and is an ideal option to perform as a couple, friends or family. The Nautical Center El Mogote, provides all the necessary safety material for the practice of this activity. Rowing, enjoying the beautiful landscape that surrounds the Pantano or swim in its turquoise and crystal clear waters, is a unique experience and we are sure you will enjoy it to the fullest. The Vías Verdes run on unused railway lines, which have undergone transformations to facilitate the transit of people and non-motorized vehicles. Through these roads, it is intended to make the visitor know the areas through which they travel, and that these are one of the engines of economic development in the area. Ease of access: its weak or nil slopes allow its use by all types of users, including people with reduced mobility. Security: thanks to its physical separation from the motorized traffic lanes and the protections located at the intersections with them. Continuity of the routes with adequate alternative solutions in case of obstacles. Respect for the environment along the roads themselves, inviting users to respect it. The Vías Verdes provide services, located in the old facilities, also preserved, such as railway stations and lock houses. They promote communications and local non-motorized travel: thousands of kilometers of tracks crossing European countries are available for pedestrians, cyclists, riders and people with reduced mobility. They favor a healthier and more balanced way of life and transport, reducing congestion and pollution in cities. 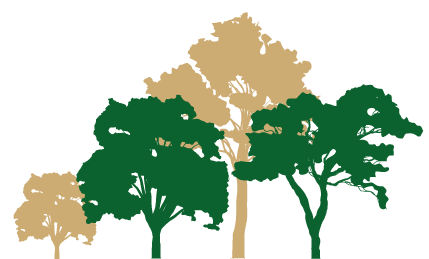 They promote rural development, active tourism and local employment. They promote more human relationships among citizens. They bring the natural and cultural environment closer to citizens and visitors. The Vía Verde de la Sierra is a disused old railway infrastructure prepared for tourist use (hiking, bicycle touring and horseback riding) that covers 38 km of mountain landscapes between the towns of Puerto Serrano and Olvera, between the provinces of Cádiz and Sevilla (España). It forms part of the Vías Verdes of Spain, coordinated by the Spanish Railways Foundation.1 It is the only one recognized as a Route of Tourist Interest in Andalusia.